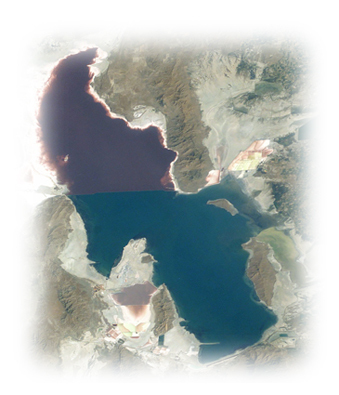 The mineral mud of the Great Salt Lake is unique. The lake is very shallow with an average depth of 13ft. With the fluctuation of spring runoff and summer evaporation, the shoreline expands and shrinks dramatically. This allows the 1.1 million tons of minerals, brought down from the Wasatch Mountains yearly by the three main rivers, to distribute the minerals over the large shoreline. This natural process means that the lake’s mud is abundantly rich in minerals. The lake’s shores contain oolitic sand, which are small rounded, or spherical grains made up of a nucleus (generally a small mineral grain) and concentric layers of calcium carbonate (lime) that look similar to very small pearls. 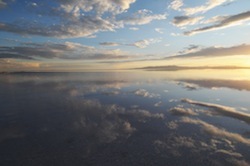 Because of the unique type of sand, the Great Salt Lake mud has a natural exfoliation that helps polish the skin, with no sharp edges that may cause skin damage. Check in next week for more great information on our unique mineral mud. This entry was posted in Feed Your Skin and tagged Body Mask, Face, Face Mask, Face Mask Body Scrub, Face Scrub, Great Salt Lake, Green, Green Products, Mineral Mud, Minerals, Mud, Natural Beauty, Ogden UT, Ojavan, Salt Lake, Skin Care, Utah. Bookmark the permalink.